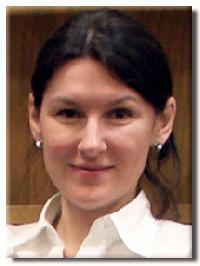 Anna Cichopek earned her Ph.D. in History from the University of Michigan in Ann Arbor and has an M.A. in History from the Jagiellonian University in Cracow, Poland. She was a Charles H. Revson Fellow in the United States Holocaust Memorial Museum in Washington DC as well as a recipient of fellowships from the YIVO Institute and the Memorial Foundation for Jewish Culture in New York. She has worked as director for Poland of the Non-Profit Foundation of Remembrance and Reconciliation, Inc. established by John J. Hartman for the restoration of the Jewish heritage in Poland. Her fields of expertise include modern East European history (in particular Poland and Czechoslovakia/Slovakia), modern Jewish history, theories of ethnicity, ethnic relations and ethnic violence, nationalism, and the aftermath of genocide. Her dissertation, Jews, Poles, and Slovaks: A Story of Encounters, 1944-48, is a comparative study of the Polish-Jewish and Slovak-Jewish relations in Poland and Slovakia after the Second World War. In her thesis, she tells a story of Holocaust survivors returning to “no-home” and their encounters with post-war social realities. By focusing on the daily efforts of Polish and Slovak Jews to rebuild their lives, she investigates the limits of belonging to national/ethnic communities in Eastern Europe after the Holocaust. Her M.A. thesis on the anti-Jewish pogrom in Cracow in August 1945 was published as a book in 2000 in Poland. She also contributed to Contested Memories: Poles and Jews during the Holocaust and its Aftermath (Zimmerman, 2003) – a collection of essays by leading scholars in the field of Polish-Jewish history. She is currently teaching at the University of Western Ontario. Starting in Fall 2011, Anna has accepted a tenure track position at the School of Historical, Philosophical and Religious Studies at Arizona State University, Tempe.